Family Nurse Practitioners play an integral role in the healthcare of families, children, and adults. With the rise of more highly educated nurses comes opportunity for increased career choices, especially with a Master of Science in Nursing. The MSN: Family Nurse Practitioner track is one of the top Advanced Practice Nurse Practitioner, or APRN, degree choices for many nurses with their RN license or BSN degree. Family Nurse Practitioners.org is dedicated to providing information that can help you decide IF a Family Nurse Practitioner career is right for you and WHERE you can study to earn a Family Nurse Practitioner degree. With HUNDREDS of FNP programs in our online, hand-edited directory, you can rest assured Family Nurse Practitioners.org is the best resource when deciding on an FNP program to study. Family Nurse Practitioners.org is the top guide for finding a Family Nurse Practitioner program online. We have searched the web, as well as sourced specific datasets, such as the American Nurses Credentialing Center, the CCNE, and the ACEN, among others, to find all of the FNP programs online. We then visited each website, reviewed their program, and have provided a summary of the program highlights to help you make your decision in a more timely and informed fashion. Of course, we are a guide - you should fully vet any FNP or MSN program you apply to or consider. There are important questions you should ask: how long is the FNP program? How much is the FNP program? What is the program and university accreditation? What are the types of classes you should expect? What are their career placement rates? If it is an online FNP program - what is the online learning environment like? Deciding on which Family Nurse Practitioner program to pursue can be difficult - we have provided extensive information to help make that decision a little easier. The RN to MSN: Designed for RNs who do not have a bachelor’s degree but have earned an associate degree, or a diploma or certificate from a hospital-based program. The MSN: Designed for RNs who already hold a bachelor's degree. Nursing @ Georgetown delivers the online MS in Nursing program from Georgetown University. In as few as 19 months, RNs with a BSN can earn their degrees to pursue certification in an APRN specialty. Nursing @ USC delivers the online Master of Science in Nursing program from the University of Southern California Suzanne Dworak-Peck School of Social Work Department of Nursing. RN and BSN required. Online family nurse practitioner programs are typically geared towards those who are working in busy facilities, with hours that do not always sync with traditional class times. That is why you can find many online programs that do not require mandatory login or chat times for peer and professor lectures and discussions. Most coursework can be completed on your schedule, as long as you keep pace with the expected timelines the syllabus outlines. What is an Online Family Nurse Practitioner Degree? For students who have their Bachelors in Nursing and want to learn their graduate level options, online family nurse practitioner programs can be a great option for those who want to serve populations of patients in all age ranges. Many programs can be completed through 100% online coursework, without having to report to campus. These online programs still provide experiential learning by giving students the opportunity to perform clinical experiences at healthcare facilities near their home, or in their current nursing roles. Plus, most healthcare facilities want the most trained and skilled nurses to provide top-quality patient care. With the advancements in technology and data-integrated healthcare, it is more important than ever for nurses to have the skills necessary to work in this rapidly changing field. Why Consider a Nurse Practitioner Degree and Career? The expansion of Online Family Nurse Practitioner Programs is mostly due to the demand healthcare facilities, private or public. For some quick numbers — the American Association of Nurse Practitioners, one of the top Nurse Practitioner organizations especially for practicing Family Nurse Practitioners, represents the interests of its 70,000 members and 222,000 nurse practitioners nationwide, and it is growing every year. Other health care professions ranking in the top 20 include: physician assistants, nurse anesthetists, pediatricians, obstetricians and gynecologists, nurse midwifes, physical therapists, anesthesiologists, physicians and psychiatrists also listed in the top 20. Registered nurses were also acknowledged and appeared at number 22. When comparing programs you will want to be sure you enroll in one that will prepare you to take the national certification as a Family Nurse Practitioner (FNP). This certification is governed by the American Nurses Credentialing Center (ANCC), which is the national organization recognized by state and federal standards for professional practitioners. There are a number of different Nurse Practitioner, or Advanced Practice Nurse Practitioner (APRN) program tracks that are specifically tailored toward a specific nurse practitioner career. Use the below tool to learn about the tracks certified by the aforementioned ANCC. How Long Does an Online Family Nurse Practitioner Degree Take? Long story short: an Online FNP program varies for every university. 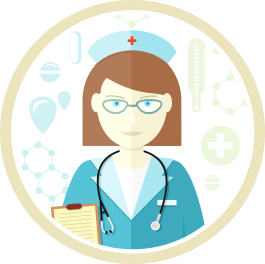 Each nursing school has different requirements that may shorten or lengthen the online FNP program. However, students can earn their online FNP degree in as little as 8 semesters, depending on the program they choose. These programs help students move quickly through online coursework at the same pace as traditional campus-based offerings. Classes can include lectures that you can watch when your schedule allows, as well as online discussions you can participate in to gain new perspectives provided by your peers and faculty. With new technology, online courses also offer clinical simulations and experiences that you can witness and perform without leaving your home. What’s more, faculty can be available by phone, email and other tools in your online dashboard. Now that distance learning technology is so common and advanced, even campus courses utilize the tools that are making online learning so widely available and credible in the eyes of universities and employers across the nation. What is also beneficial about taking the online approach to earning your FNP is the flexibility in start dates. Since online programs are easier and more efficient to deliver, you can find several online programs that offer up to 6 start dates per year. And if you have not taken your GRE, you can breath easy. Many online FNP programs do not require the GRE for admission. No matter where you are on your path to becoming an FNP, you should look into the following organizations and associations that can connect you with mentors and like-minded professionals. This is by no means a complete list, but a good place to start spreading your wings and networking while you earn your education. If you are going to purse a career as an FNP, this is the first organization you should look into. The AAFNP was formed to give professionals somewhere to turn for resources and information to help further their careers. This association also makes a huge impact in public policy and connecting specialists in the field with students who are seeking guidance. There is a reason corporations and other organizations partner with the AANFP and their 205,000+ members. Perhaps the best place to start your search is the ANA, the all-encompassing organization for professional nurses. They have a wealth of professional resources you can take advantage of, no matter what type of FNP you want to become. Whether you want to find work, sign up for conferences or check out their benefits, this is a great organization to join – the gold standard for nursing networks. This organization is dedicated to promoting quality nursing care on a global scale. They offer credentialing programs that certify nurses in all specialities. They also work with healthcare environments and offer accreditation to colleges, universities and other academic environments where nursing education is offered. Women’s health is always a big topic in healthcare and politics. But no matter what the debate, there is no denying the importance of understanding women’s health issues in the scope of your role as an FNP. The NPWH is dedicated to protecting women’s health through quality care and innovative technology, as well as evidence-based research. They offer educational events and e-learning opportunities for FNP’s to stay in tune with current best practices in care. This organization is on a mission to help NP’s administer quality emergency care to patients of all ages and socio-economic backgrounds. FNP’s may have an infinite number of situations where they are dealing with emergency care or aiding those to directly deliver care in urgent situations. This can be a good organization to learn more about and use as an educational and networking resource. They also offer professional opportunities that can help FNP’s move ahead in their career and expand their options for roles in healthcare. There are quite a few Nurse Practitioner organizations you should look into when figuring out which nurse practitioner program to pursue. Below are some of the top nurse practitioner organizations, along with a few that overlap into Critical Care and other nursing specialties. To become an FNP, consider the benefits of enrolling in an online program to further your career without putting your current nursing role on hold.